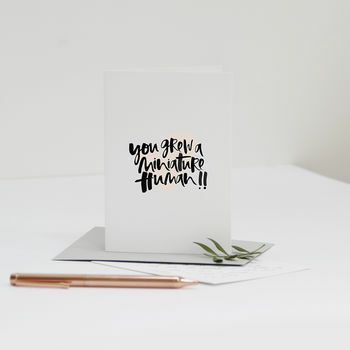 Celebrate the arrival of a new baby with this modern card for Mum! 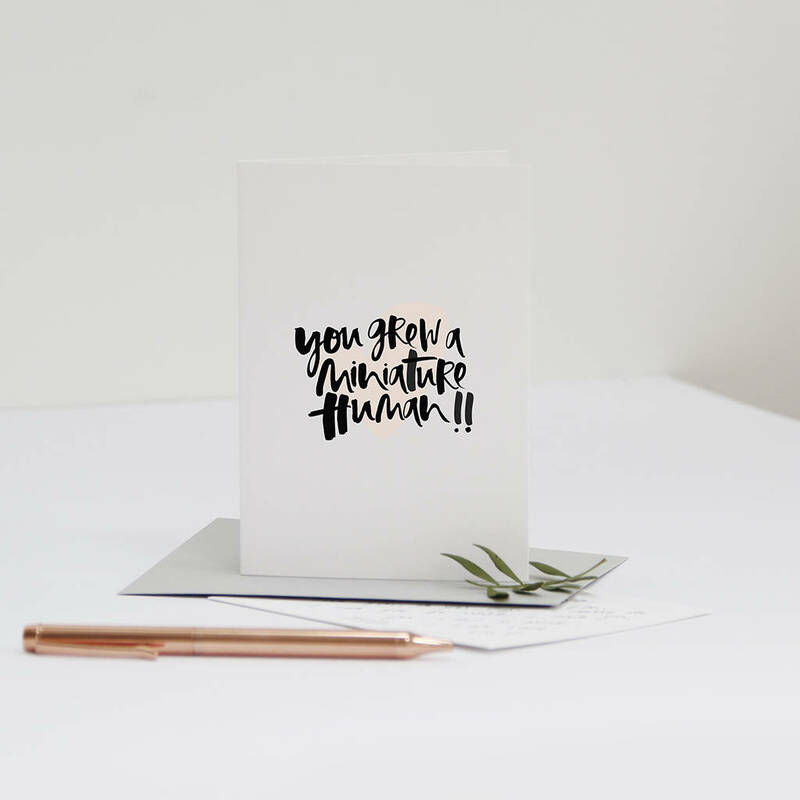 This modern new baby card is perfect for sending your love and wishes to a new mum. 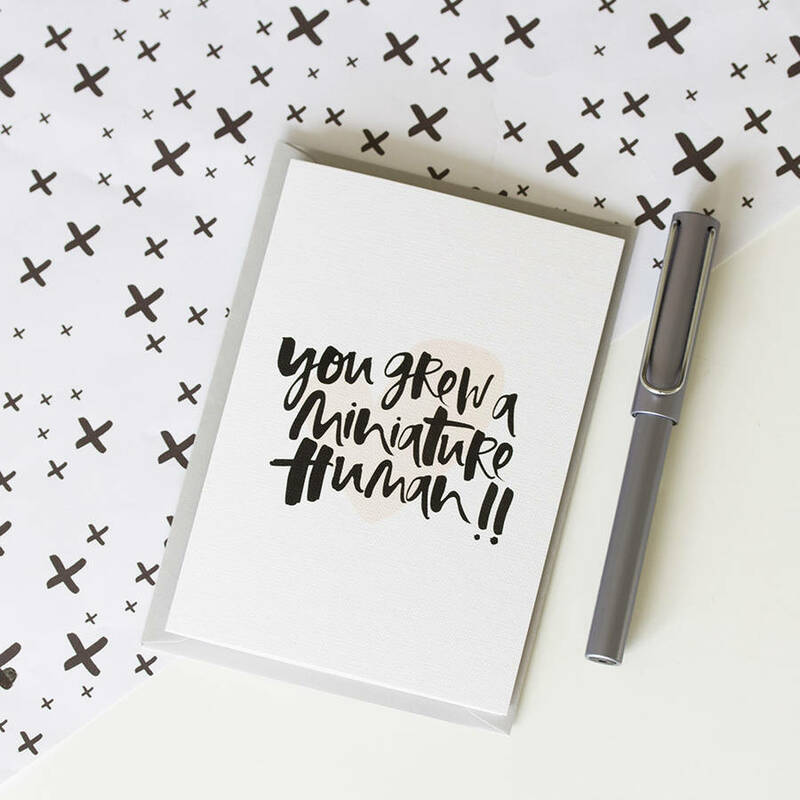 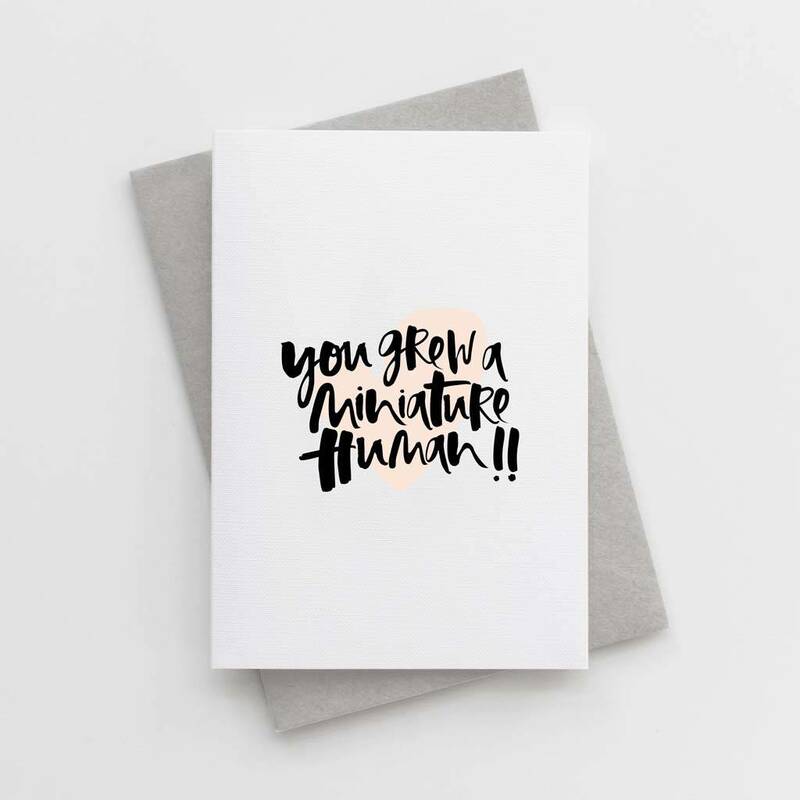 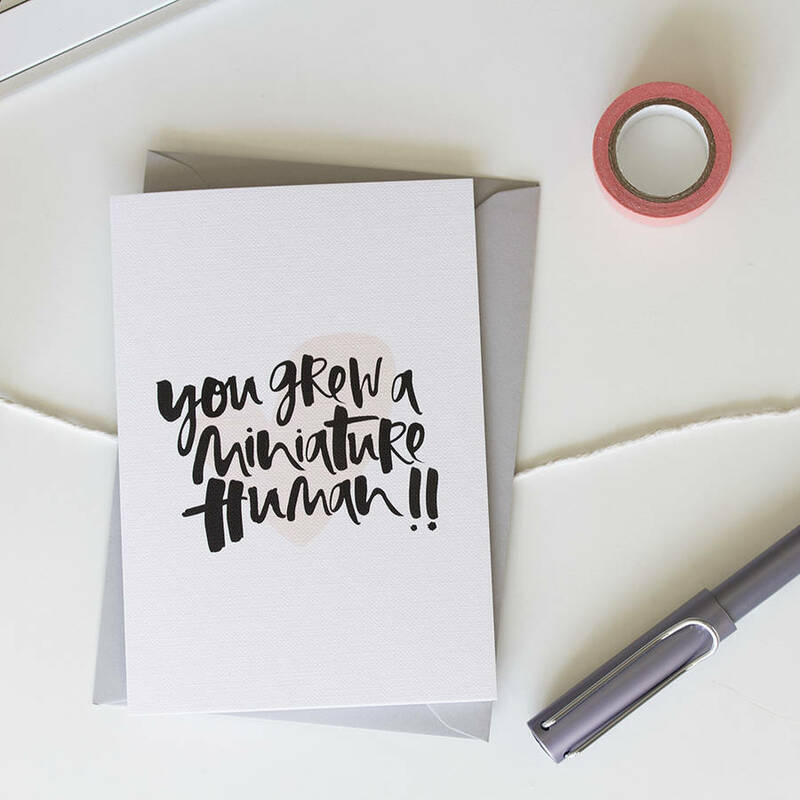 Featuring our classic hand lettered typography, the phrase 'You Grew A Miniature Human' is written in deep black ink for a modern, playful twist on the traditional baby card.